"if given a choice, which Bayern player would he take, if he had to take just one". 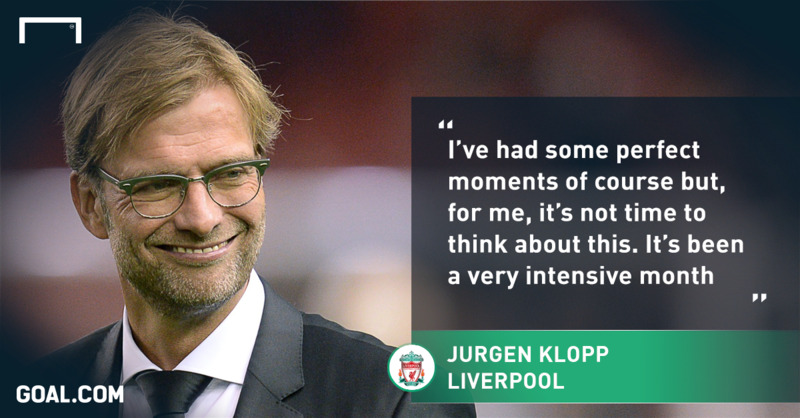 Klopp's answer - "Gerd Muller", and a knowing smile followed. The interviewer stopped for a good 2mins, and finally just laughed. 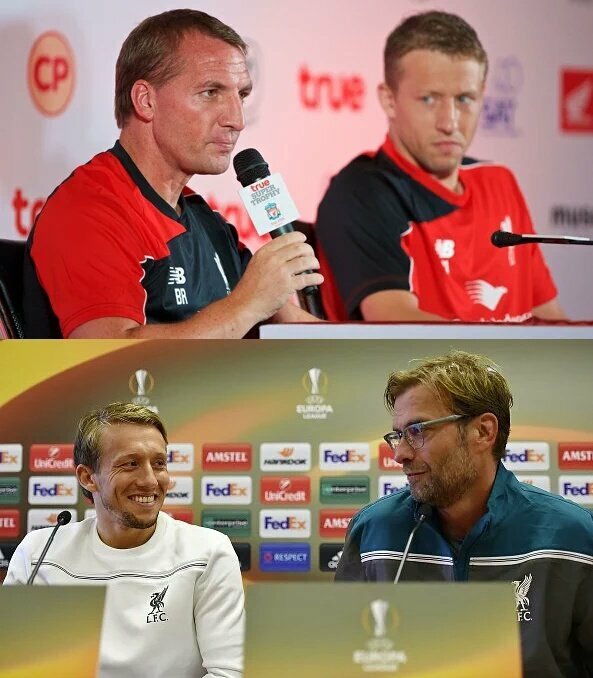 Klopp interjects when Lucas is asked about him: "Will you always ask the players about the manager? If he thinks I'm am idiot he can't say!" “These young players are our future. If we handle them like horses we get horses"
This is my first time as manager of Liverpool for a game at Anfield and it is something that will be very important for me and my staff. You [the fans] have a vital role to play in what we are looking to achieve. You are a very special group of supporters and the atmosphere you create is unique. I ask that you believe in this team and believe that together we can achieve great things. We must all stay together and look to enjoy the experience of following such a great club. Football should be about joy and fun and that must be reflected throughout the entire organisation. Pictures are capable of telling all sort of lies. 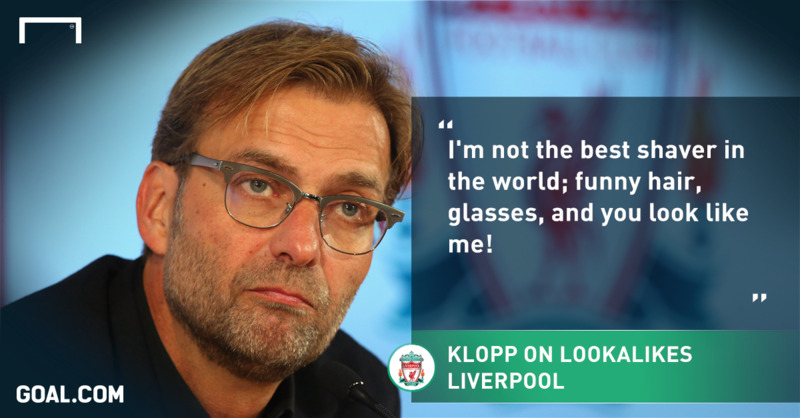 But that pair together made me laugh almost as hard as Klopp and Lucas' winks and banter during the press conference. If nothing else, the team is much, much loser without the building pressure on BR's position to worry about. When you come to a new house you have a present, im not quite satisfied with my present tonight. "My only problem is I have to sit here all day and answer questions to you [journalists]." He never.... said that did he? He is hilarious and entertaining. I really look forward to his press conferences. "They're like the Chinese in business: they see what other people are doing and copy it – just with more money." Klopp is eminently quotable and he was reminded of one of his oft-repeated phrases about wanting to play “heavy metal” football at former club Borussia Dortmund when asked how he would describe Liverpool’s musical style. While talking to a reporter after winning the Bundesliga. 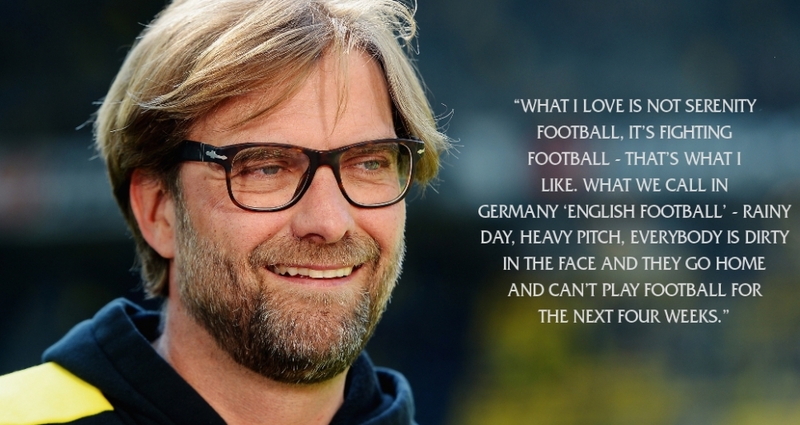 Klopp - This is the best thing that comes from sport - the chance to make so many people happy. I like this interview. Maybe @Dortmund fan can explain the background for it? At one point, Klopp asks the journo something like "Do you know of any available 3 room appartments in Bremen?" - the journo says, "I don't have an any - are you looking for one?" and Klopp replies "no". I can explain it if you like. The journo is Arnd Zeigler a satirical football journo who is working for a TV station in Germany often interviews players and coaches or simply comments on football news and games. He has his own show called "Zeiglers wunderbare Welt des Fussballs" (Zeiglers wonderful world of Football". 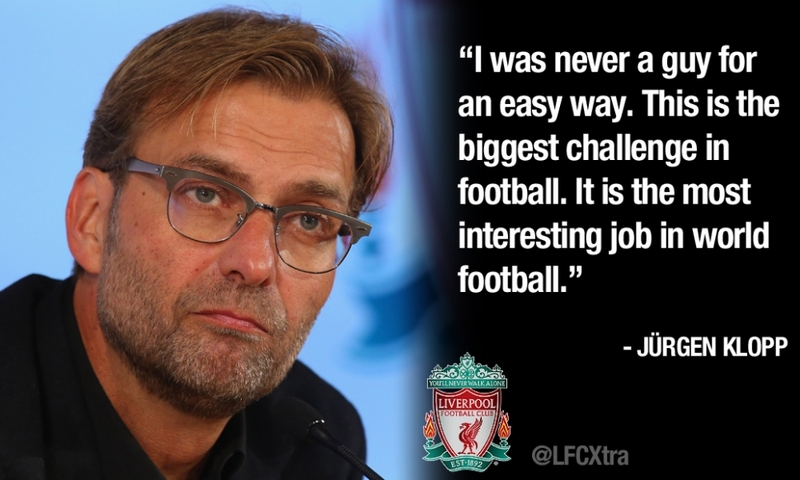 He and Klopp know each other pretty well for some time now and Klopp is usually willing to play a role in these interviews. And you are right he is asking if the journo had a 3-room appartment in Bremen. You are also right with the first part of his reply saying "I don´t have any." But he didn´t ask if he is looking for any but asking: "Und sonst so?" Which basically means: "You got anything elso going on at the moment?" There is one more interview with him which is even more funny. It was done at a time when Dortmund was topping the league and destroying every opponent. Zeigler then asks him after the game what is going wrong with his team at the moment. 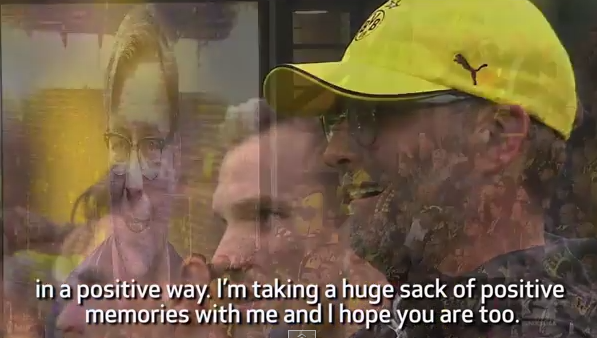 Klopp then acts pretty well and replies that they have problems over problems, the team doesn´t listen to what he is saying, that he feels is isn´t getting though to the players anymore and questions if he would still be the right manager for Dortmund. Really well acted and without even showing a glimpse of a smile the whole interview. That was hilarious. Oh I almost forgot that interview... aaawww such good times back then. "I mean, seriously - there were children around- listening!" The Klopp/Zeigler-stuff is always hilarious, but next to impossible to translate the humor into English. The "critical interview"
"On paper the match today looked like a flat out win with 4-0, but BVB at times played like an away-team, the coach just cannot have liked that"
"No doubt about it, this is why I had to shout alot during halftime - it was just shambolic and we're lucky we got away with it"
Klopp talking about the time to leave Dortmund.